With increase in age the renal threshold for glucose increases which means that blood glucose will be higher before increased frequency of urination will be detected. Hence poly-urea may not be prominent in the elderly with high blood glucose, and may be absent due to impaired thirst mechanism in the elderly. It is important to know that increased urination and increased thirst (classic symptoms of diabetes) are often absent in the elderly. This is compounded by the elderly's increased risk of comorbidities and increased complexity of chronic illnesses. Diabetes in the elderly aged 65 to 74, is 12 times higher than for age less than 45 years old. Contributing factors are the obesity epidemic and the fact that people are now living longer. Diabetes is a serious health condition. It is a major risk factor for heart disease, and stroke; a major cause of blindness, kidney failure, and amputations. 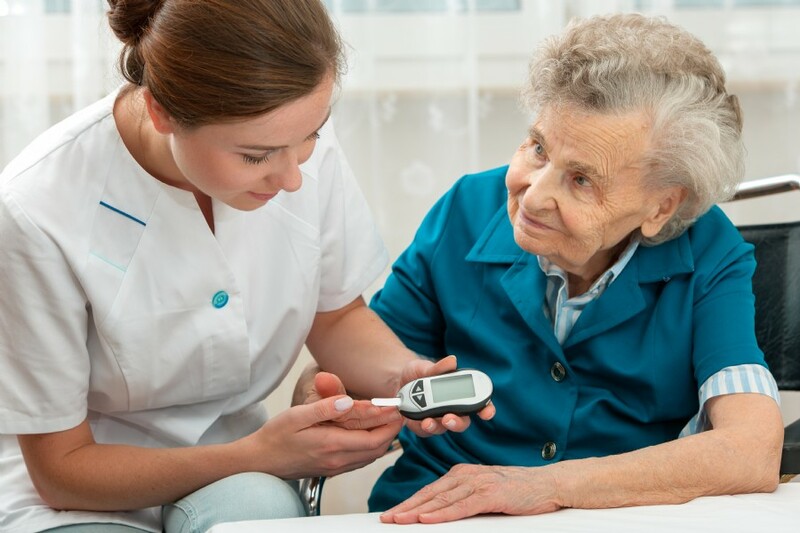 Educating older adults and their caregivers about minimizing risks for complication of Diabetes is "key" to improving outcomes for Diabetes and to reducing the serverity of disease complications. To enroll in a Diabetes Self-Management Education/ Training Class or for Individual Education.